Often, voter disappointment with current leadership and big media’s boredom with the experienced pols waiting in the wings prompts us to turn over a new rock and give untested candidates a chance. The advantages to such persons are obvious. They have no record of any significance to hang around them, as their complaints against ‘the man’ are all we have to go on. “Damned straight,” we cry. “You tell ‘em! Give those crooks on Wall St. what for!” Experience becomes a dirty word and populist rhetoric wins the day. As telegraphed by the title of her new book “A Fighting Chance,” Elizabeth Warren seems to be such a shiny new toy, a liberal messiah who will fight for the little people. Her ascension to the Senate after creating the Consumer Financial Protection Bureau offers an inviting narrative to those on the far left afraid that Hillary Clinton will be too centrist, too hawkish or representative of the old guard of politics should she run in 2016. Struggling to gain a foothold within a divided Republican Party, Senators Rand Paul and Marco Rubio represent shiny new toys on the right. Even Chris Christie can be said to fall into this category. They claim to be the antithesis of Jeb Bush, part of a dynasty we might want to leave behind. But is newer always better or, in fact, different? We received warnings about the danger of going with ‘words, just words’ in 2008. As former Pennsylvania Governor Ed Rendell noted, the work of governing is a tedious slog involving the daily grind of negotiating to create legislation meant to help those on the ground. It has little to do with the art of speechifying. Yet it was the seduction of rhetoric that put Mr. Obama in the White House. Logic dictated, however, that since he had only two years’ experience as a legislator on the national stage, he might have little understanding of the workings of Congress and few reserves to call upon when the negotiating required in any administration was needed. The media declared this of no consequence and ran full speed ahead. But there is a reason why experience matters. You can’t know what you don’t know. The pressure cooker of the White House is a sorry place for on the job training. All this is not to take away from Senators Warren, Paul and Rubio or Governor Christie. But railing about the economy and foreign policy is no guarantee of leadership, knowledge, experience or results. And pushing the “new” too early, before they have had a chance to amass a record of positive accomplishment or frankly, political know-how, will lead to a similar result as Mr. Obama’s Presidency – opportunity lost. Senator Paul’s recent thirteen hour filibuster again drone strikes on American soil was admirable, in that he was willing to expend some spit and energy on behalf of a cause. Yet on foreign policy, complaints have surfaced that he is already softening his isolationist rhetoric to fit into a more acceptable hawkish political slot in re Putin. I appreciate the dressing down Senator Elizabeth Warren has given bankers for the disgraceful conduct that led to 2008’s near economic collapse. But while she has a bright political future, is that any guarantee that she, with only two years legislative experience under her belt, would be any match for a hostile Congress? Wouldn’t Senator Paul be in the same predicament? Lyndon Johnson’s presidency is currently being revisited, vis a vis his legislative successes with civil rights and Medicare. Arguably, his long experience in Congress, the favors owed, cajoling and arm twisting delivered this legislation for him – something a less experienced pol might be powerless to generate. Furthermore, the trend of obscene amounts of money spent on the last two presidential elections seems unlikely to change. Any “newbie” is going to have to court the juggernaut or be drowned out. So while it is fine for candidates to complain about donations from big business, they would be unable to survive or get on the big stage without them. That this is a miserable situation doesn’t make it any less true. The test in 2016 for any presidential candidate securing our vote should be threefold – effective policy prescriptions, a road map for carrying them out and a proven record of accomplishment. Otherwise, the shiny new rhetoric of the campaign trail will bear little resemblance to reality. A corporate owned media pushing powerful business interests are not out to help the American voter differentiate between mere rhetoric and substance. It likely serves special interests to have a neophyte (of either party) in office easily manipulated or stymied by the current toxic political culture. Genuine leadership requires not only a spine of steel but deep understanding of all the pieces and players on the board, foreign and domestic, and the ability to work them – and work with them. A proven record of reaching across the political aisle to get results wouldn’t hurt either. As we already seem preoccupied with 2016, making the best choice hinges on our ability to drown out the pundit class and dig for the solutions being offered by each candidate, insisting on more than a fresh face or a polished facade. Else, we will just get more of the same, regardless of Party. Hindsight is 20-20, I guess. When Millennials overwhelmingly chose Mr. Obama in 2008, it is hard to ignore that their lack of life experience may have contributed to their trust that vision equals action. Then again, a lot of older voters took that leap, too. We have an obligation to dig beyond rhetoric, regardless of Party. In the debate that takes place between candidates in the primary process, we will hopefully find a message attached to some substance, provided we can look past big media’s manipulations. Is it too much to expect that a genuine leader will emerge? What are you looking for in a leader? What issues matter to you? To answer your question about what I am looking for, you aptly answered it clearly and well: “the test in 2016 for any presidential candidate securing our vote should be threefold – effective policy prescriptions, a road map for carrying them out and a proven record of accomplishment. Otherwise, the shiny new rhetoric of the campaign trail will bear little resemblance to reality” Along with that, I want a fiscal conservative and I am hopeful SHE is that too! Thanks, Elaine. Agreed. I think that echoes what many in this country are looking for. Let’s just hope enough people see past media distractions to focus on issues, not ankle size or phony likeability metrics. 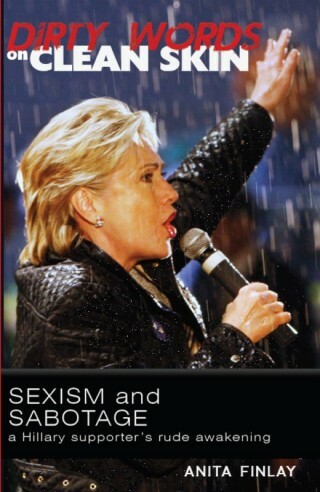 Hillary is the only one ready ( now more than ready) to lead this country. 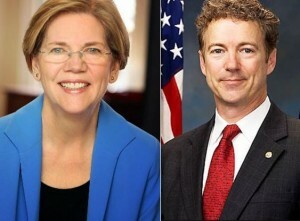 We don’t need inexperienced radicals on the left as Warren or in the right as Paul…HILLARY all the way!!! !